It is also said that these number come up in nature. Some examples being the branches of a tree, the arrangements of leaves on a stem, the fruit sprouts of a pineapple, the flowering of an artichoke, the uncurling of a fern, and the arrangement of a pine cone. And so today, in celebration of the Fibonacci Number Sequence, I bring you: a pinecone, a tree, and an artichoke. One day Penguin found something. It was too hard to be food and too prickly to be an egg. It wasn’t a snowball but it was cold. So Penguin got busy and knit his new friend a beautiful orange scarf to match his own. But his friend was still cold. Grandpa told Penguin that his friend was a pinecone and that it belonged in a forest far away. So Penguin packed his sled and pulled Pinecone all the way home. He made a soft nest for his friend and set stones in the shape of a heart around pinecone. Then he went back to his own home and thought about Pinecone growing bigger and stronger. Penguin packed his sled again and returned to the forest. There growing with the tall pine trees was one wearing an orange scarf just like his, surrounded by stones in the shape of a heart. Penguin and Pinecone played and played. And although Penguin eventually had to go home and leave Pinecone behind, he knew they would always be close in each other’s hearts. Mr. Tate teaches his class about the importance of trees before each student plants his or her tree in the school yard. From the one large tree in the yard, Mr. Tate has the children count one owl, two spider webs, etc. Then he talks about how trees clean the air for us to breathe, gives us shade on a hot day, and provide wood for homes, guitars, furniture, paper etc. Then Mr. Tates counts as ten children plant new trees in a straight line. Before the class leaves, one students says goodbye to the old oak tree and tells it to have fun with its new friends. The big tree waved, and the ten small trees waved also. 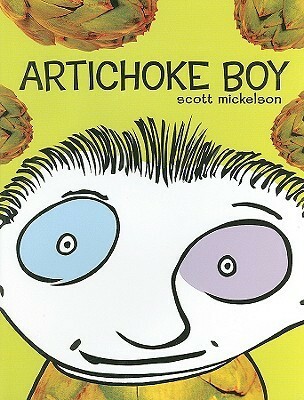 Artichoke boy loves artichokes. He has artichoke eyes, nose, hair, ears, elbow, knees. He takes artichoke baths, eats artichoke dinners, rides artichoke sleds, and has artichoke ice cream. He has an artichoke mother, father, and sister. But as much as he loves artichokes, he loves his family best. If you are more of an appreciator of art than an artist, like I am, you’ll appreciate these picture books with pictures of birds today. Enjoy Draw a Picture of a Bird Day with some of my bird-favorites. Lois Ehlert not only wrote several beautiful picture books, she also illustrated them. 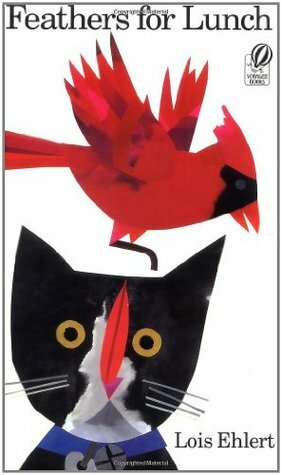 In Feathers for Lunch, Lois Ehlert tells the story of a cat trying to catch his own lunch. Her unique illustrations, show twelve different birds that got away from the cat, leaving him only feathers for lunch. Two other picture books written and illustrated by the same person are Salina Yoon’s Penguin and the Pinecone and Oliver Dunrea’s Gossie. 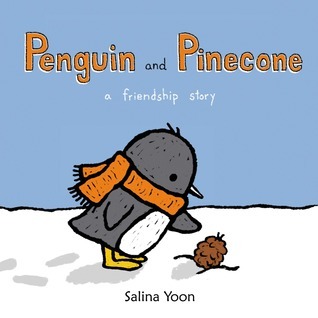 Penguine and Pinecone is a sweet story about a penguin who finds a pinecone in the snow and tries to keep him. But he soon realizes that the pinecone cannot live on the ice, so he takes him to the forest so he can grow. 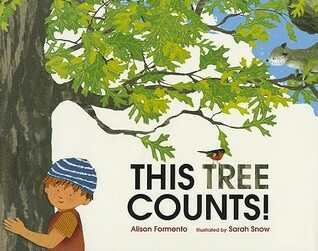 Penguin goes back to the forest later and visit his friend pinecone and finds that pinecone has grown into a beautiful tree. Salina Yoon’s illustrations are so simple and perfect for her story. 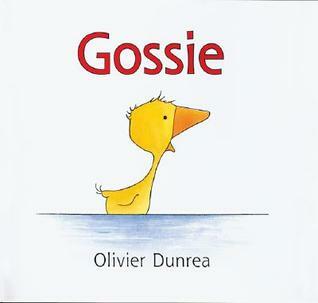 Gossie, written and illustrated by Oliver Dunrea, is also a sweet and perfect picture book for little ones. Gossie has a pair of bright red boots that she wears everyday. That is, until they are lost. She looks and looks for her boots and finally finds them on another gosling. The two become friends and Gossie shares her boots with her new friend, Gertie. It’s a lovely story and one of my new favorites. Owl Babies is a gorgeous picture book. It’s everything I look for personally in a picture book. 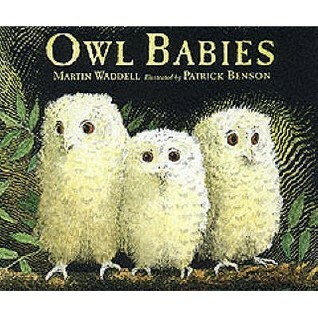 It has simply enchanting pictures of three little owl babies perched on a branch waiting for their mother to get home. Martin Waddell wrote this tale of worry, anticipation, and reunion in 1996, and it is still a favorite among children and parents alike. But today, I chose this book for it’s illustrations. Patrick Benson brought those little owl babies to live with his soft illustrations.